The Champions League quarterfinal draw has produced two heavyweight clashes, while Juventus and Liverpool are probably cracking a smile, however slight. Barcelona and Lionel Messi will face Manchester United in a megaclash of European powerhouses, while Manchester City and Tottenham Hotspur will face each other in a juicy Premier League encounter. Juventus and Cristiano Ronaldo drew Ajax, the Dutch side that punches above its weight class and knocked out Ronaldo’s former club Real Madrid last week. Liverpool, meanwhile, will take on decorated Portuguese side Porto. Barcelona and Manchester United’s history of facing each other is mostly confined to the turn of the decade, but what a stretch it was. Still towering above most of Europe under Sir Alex Ferguson, United beat Barcelona in the 2008 Champions League semifinals on a solitary goal by Paul Scholes in the second leg. They went on to beat Chelsea in the final. Barcelona got revenge in 2009 and 2011, when Pep Guardiola’s Catalans beat United in both finals 2-0 and 3-1, respectively. 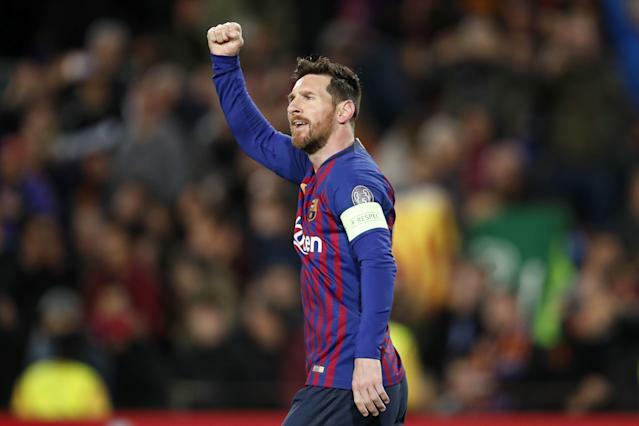 Messi led those sides on the pitch, and he’s still around to take on Ole Gunnar Solskjaer’s rejuvenated Red Devils, who upset Paris Saint-Germain last round. Guardiola’s new club, Manchester City, has a tricky encounter against Tottenham. Since his arrival in 2016, City has won three, drawn one and lost one against Spurs with a plus-4 goal differential. But Spurs won’t be intimidated, and it could make for an entertaining affair. Liverpool and Ronaldo, both of whom played in last year’s Champions League final, drew the minnows in the quarterfinals. (Although at this stage, everyone’s dangerous and here for a reason.) The Reds are facing Porto in the knockout stages for the second straight year, having ridden a Sadio Mane hat trick to a 5-0 win in Portugal last season to cruise into the quarterfinals. And then there’s Ronaldo, the glorious (and gloriously difficult to reconcile) superstar whose hat trick this week lifted Juventus past Atletico Madrid. The Italian giants figure to have an easier time against Ajax, but their aforementioned upset of three-time reigning Champions League winners Real Madrid better have Juve on high alert. The first legs will take place on April 9 and 10, and the second legs will be played April 16 and 17. Joey Gulino is the editor of Yahoo Soccer and moonlights as a writer. Follow him on Twitter at @JGulinoYahoo.